Coworking spaces in Raffles Place , Tower 2. Coworking spaces in Fraser Street , Duo Tower. Coworking spaces in Wallich Street, Guoco Tower. Rent your private office space in Church Street, Samsung Hub. Rent your private office space in Marina Boulevard, MBFC Tow. 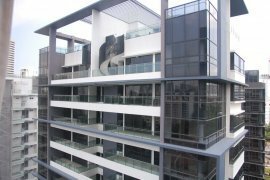 Rent your private office space in Temasek Avenue, Centennial. Rent your private office space in Temasek Boulevard, Suntec. Rent your private office space in Phillip Street, Royal Grou. Rent your private office space in Fullerton Road, One Fuller. Offices for 3-4 people in Jurong Town Hall Road , JTC Summi. Offices for 3-4 people in Regus Express Toa Payoh Public.